THIS IS A 2 EVENING COURSE. 2ND EVENING WILL BE HELD ON THE 21st OF NOVEMBER. THE PRICE QUOTED IS FOR THE 2 EVENINGS. 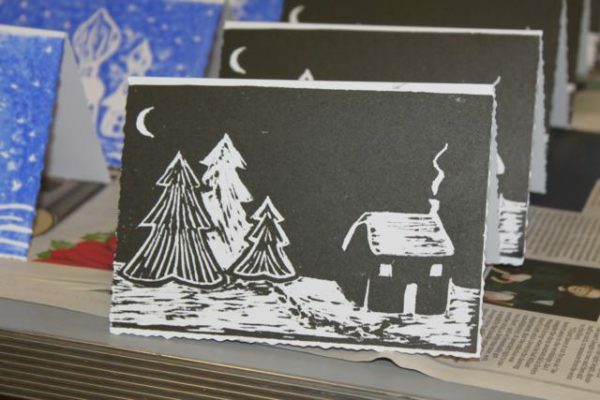 Give your Christmas cards a very personal touch this year and join us for this set of two evening workshops where you will learn the art of lino printing to produce a wonderful piece of artwork. 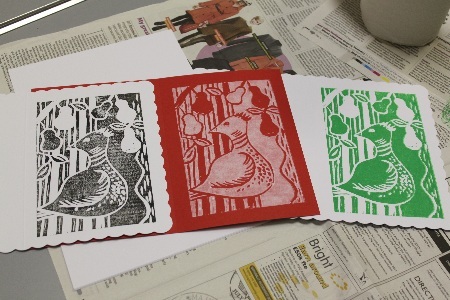 This form of fine art printmaking is a great technique to use for making Christmas cards as once you’ve cut the design in the lino, you’re ready to print as many cards as you need. So come and learn this new technique, and make your cards to stand out from the crowd and impress your family and friends with your creative flair! . 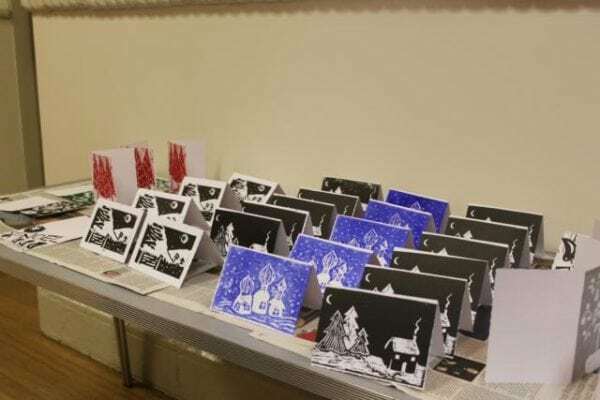 Give your Christmas cards a very personal touch this year and join us for this set of two evening workshops where you will learn the art of lino printing to produce a wonderful piece of artwork. The course will be held on the 7th and 21st of November 2019. This form of fine art printmaking is a great technique to use for making Christmas cards as once you’ve cut the design in the lino, you’re ready to print as many cards as you need. So come and learn this new technique, and make your cards to stand out from the crowd and impress your family and friends with your creative flair! The price quoted is for the 2 evenings. The number on this course will be limited to a maximum of 12 people to ensure one to one time with Iain.